What Are Finger Scanners and How Do They Work? A fingerprint scanner is a type of electronic security system that uses fingerprints for biometric authentication to grant a user access to information or to approve transactions. It used to be that fingerprint scanners were mostly seen in movies and TV shows, or read about in science fiction novels. But such times of imagination surpassing human engineering ability has been long gone — fingerprint scanners have been in use for decades! Not only are fingerprint scanners becoming more commonplace in the latest mobile devices, but they’re gradually making headway into everyday life. Here’s what you should know about fingerprint scanners and how they work. What Are Fingerprint Scanners (a.k.a. Finger Scanners)? Human fingerprints are practically unique, which is why they’re successful at identifying individuals. It’s not just law enforcement agencies that collect and maintain databases of fingerprints. Many types of occupations that require professional licensing or certification (e.g. financial advisors, stock brokers, real estate agents, teachers, doctors/nurses, security, contractors, etc.) mandate fingerprinting as a condition of employment. It's also typical to provide fingerprints when having documents notarized. 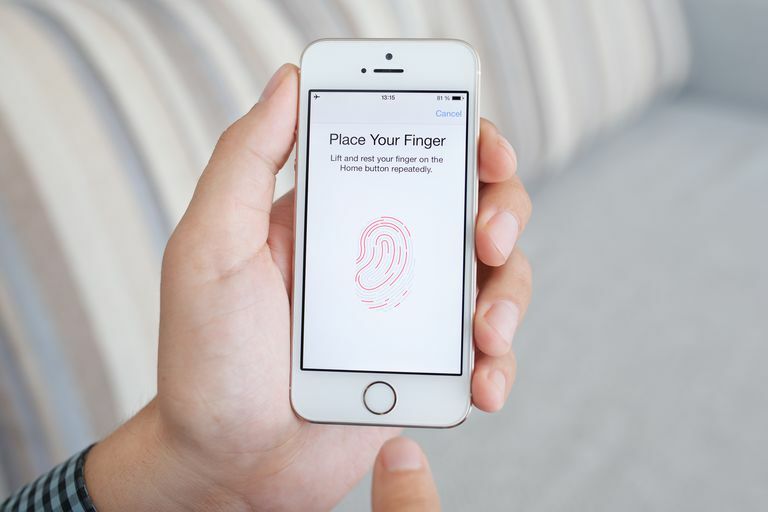 Advancements in technology have been able to incorporate fingerprint scanners (can also be referred to as ‘readers’ or ‘sensors’) as another (optional) security feature for mobile devices. Fingerprint scanners are one of the latest in an ever-growing list – pin codes, pattern codes, passwords, face recognition, location detection, iris scanning, voice recognition, trusted Bluetooth/NFC connection — of ways to lock and unlock smartphones. Why use a fingerprint scanner? Many enjoy it for the security, convenience, and futuristic feel. Optical Sensor: These types of scanners basically make a photocopy of the finger. Many illuminate the finger in order to deliver crisp contrast of lines as the light-sensitive scanner (usually an image sensor or light-sensitive microchip) records the information to produce a digital image. Many PC-connected fingerprint scanners use optical sensors. Capacitive Sensor: Instead of light, capacitive scanners use electricity (think of the way touchscreens work) to determine fingerprint patterns. As a finger rests on the touch-capacitive surface, the device measures the charge; ridges exhibit a change in capacitance, while valleys produce practically no change at all. The sensor uses all this data to accurately map out prints. Most all smartphones with fingerprint scanners use capacitive sensors. You might be staring at your fingertips right now, wondering just how scanners can so quickly determine a match or not. Decades of work have led to the classification of fingerprint minutiae — the elements that make our fingerprints unique. Although there are over a hundred different characteristics that come into play, fingerprint analysis basically boils down to plotting the points of where ridges end abruptly and fork into two branches (and the direction). Combine that information with the orientation of general fingerprint patterns — arches, loops, and whorls — and you have a pretty reliable way of identifying individuals. Fingerprint scanners incorporate all of these data points into templates, which are used whenever biometric authentication is required. More data collected helps to ensure greater accuracy (and speed) when comparing different sets of prints. The Motorola Atrix was the first smartphone to incorporate a fingerprint scanner, way back in 2011. Since then, many more smartphones have incorporated this technological feature. 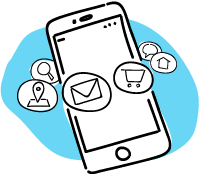 Examples include (but are not limited to) the: Apple iPhone 5S, Apple iPad models, Apple iPhone 7, Samsung Galaxy S5, Huawei Honor 6X, Huawei Honor 8 PRO, OnePlus 3T, OnePlus 5, and Google Pixel. It’s likely that more mobile devices will support fingerprint scanners as time goes on, especially since you can already find fingerprint scanners in many everyday objects. When it comes to PC security, there are plenty of fingerprint-scanning options, some of which can be found already integrated into certain laptop models. Most of the readers you can purchase separately connect with a USB cable and are compatible with both desktop and laptop system (typically Windows OS, but also macOS). Some readers are closer in shape and size to that of USB flash drives — in fact, some USB flash drives have a built-in fingerprint scanner to grant access to the data stored inside! You can find biometric door locks that use fingerprint scanners in addition to touchscreen/keypads for manual entry. Biometric car starter kits, installed in vehicles as an aftermarket accessory, use fingerprint scanners to add another layer of security. There are fingerprint-scanning padlocks and safes, too. And if you ever plan a trip to Universal Studios, you can rent a free storage locker that uses fingerprints instead of physical keys or cards. Other theme parks, such as Walt Disney World, scan fingerprints upon entry in order to combat ticket fraud. The application of biometrics in everyday life is expected to grow as manufacturers devise new (and more affordable) ways to incorporate the technology. If you own an iPhone or iPad, you may have already been having helpful conversations with Siri. The Amazon Echo speaker also employs voice recognition software, offering a host of useful skills through Alexa. Other speakers, such as the Ultimate Ears Boom 2 and Megaboom, have integrated Alexa voice recognition through firmware updates. All of these examples use biometrics in the form of voice recognition. It should come as little surprise to find more products designed to interact with our prints, voices, eyes, faces, and body with each passing year. Modern fitness trackers can already monitor heartbeat, blood pressure, sleep patterns, and movement in general. It will only be a matter of time until fitness tracker hardware is precise enough to identify individuals through biometrics. The subject of using fingerprints for biometric authentication is hotly debated, with people arguing about the dire risks and significant benefits in equal measure. So before you start using the latest smartphone with a fingerprint scanner, you might want to weigh some options. Allows fast and easy one-finger access to unlock devices. Excellent way to identify unique individuals. You can’t forget your fingerprint. Finger injuries can impede successful scanning and deny access to authorized users. The utilization of fingerprint scanners in consumer-level electronics is still quite new, so we can expect standards and protocols to be established over time. As the technology matures, manufacturers will be able to fine-tune and improve the quality of encryption and data security in order to prevent possible identity theft or misuse with stolen fingerprints. Despite the concerns associated with fingerprints scanners, many find it preferable to entering in codes or patterns. The ease of use actually results in making more mobile devices secure overall since people would rather swipe a finger to unlock a smartphone than remember and tap out a code. As for the fear of criminals cutting off fingers of everyday individuals in order to gain access, it’s more Hollywood and (irrational) media hype than reality. Greater worries tend to revolve around being accidentally locked out of your own device. Even though fingerprint scanners tend to be quite accurate, there can be a number of reasons why one won’t authorize your print. You've likely tried to get back into your phone while doing dishes and found that wet fingers typically can't be read by the sensors. Sometimes it's a weird glitch. Most manufacturers have anticipated this happening from time to time, which is why devices can still be unlocked by passwords, pin codes, or pattern codes. These are typically established when a device is first being set up. So if a finger won’t scan, simply use one of the other unlocking methods. If you happen to forget a device code in a fit of anxiety, you can remotely reset (Android) lock screen passwords and pins. As long as you have access to your main account (e.g. Google for Android devices, Microsoft for desktop/PC systems, Apple ID for iOS devices), there is a way to log in and reset the password and/or fingerprint scanner. Having multiple means of access as well as two-factor authentication can improve your personal security as well as save you in such forgetful situations.